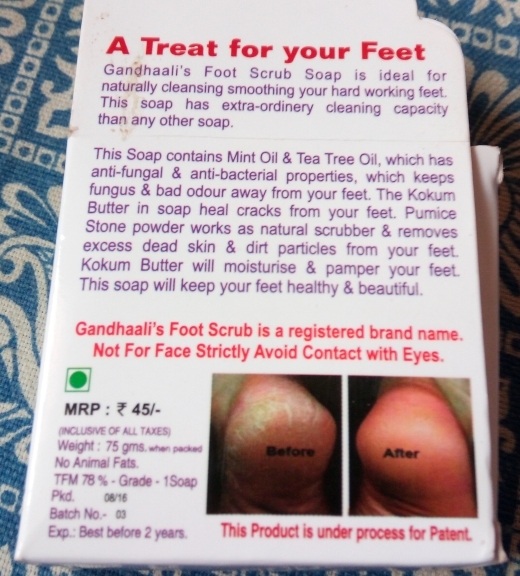 2 months ago, I happened to notice Gandhaali Foot Scrub Soap at a departmental store and after reading from its cover that it's a soap meant exclusively for the feet, I immediately purchased it. 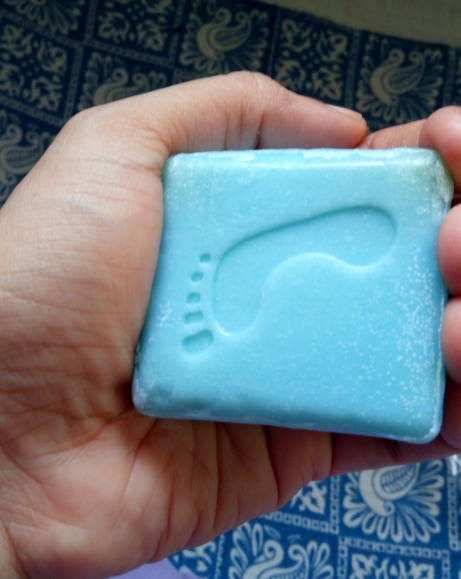 My experience with Gandhaali Foot Scrub Soap. I used Gandhaali soap the first time while bathing. 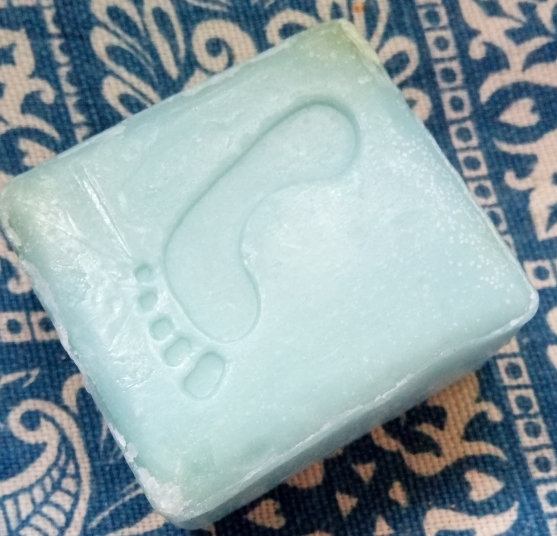 I used a foot brush and a pumice stone to gently scrub my feet and soles and then applied this soap all over my feet, soles and on the knees as well. The dirt from my feet disappeared in a trice and my feet looked clean and well the tan on my feet seemed to fade considerably. The next time around I did not use any brush or pumice stone to scrub before applying this soap. The results were not as wonderful as before, but it did clean my feet considerably. The skin on my knees too seemed to soften. 2. Impressive list of key ingredients. Has mint oil, tea tree oil and kokum butter. No animal fat. 1. 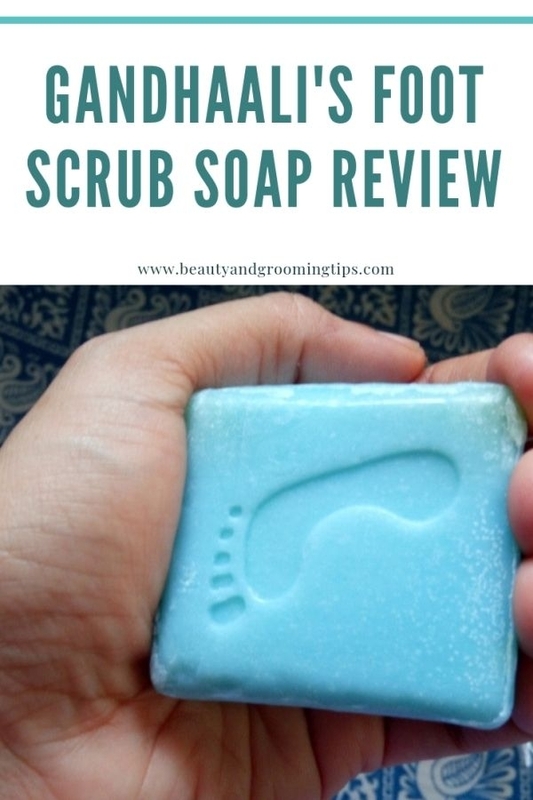 You need to use a pumice stone or brush first before applying the soap for more effectiveness. 2. 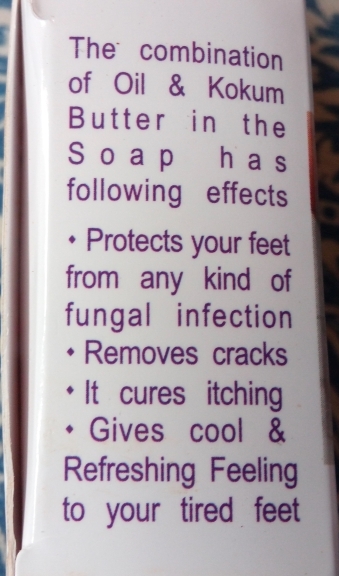 Not sure if it can heal cracks on the feet as it claims. 3. Might make feet a bit dry after washing. This can be aided by applying a lotion afterwards. The pros outweigh the cons and for a price of Rs. 45, it's worth buying. So simply go for it! 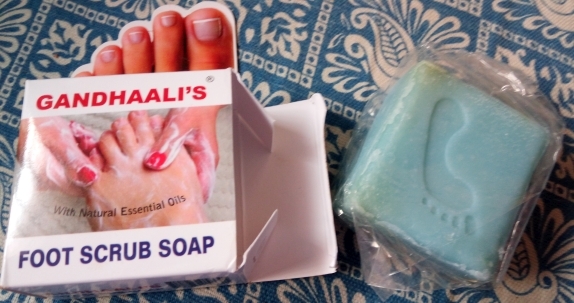 I couldn't find Gandhaali Foot soap online. However I found Vaadi Herbals Elbow Foot Knee Scrub Soap with Almond and Walnut Scrub, which has very good reviews. Perhaps it's much better than Gandhaali's soap; at least that's what is evident from the description of the product as well as the reviews. I've yet to try it but I'm tempted to buy it from the looks of it. 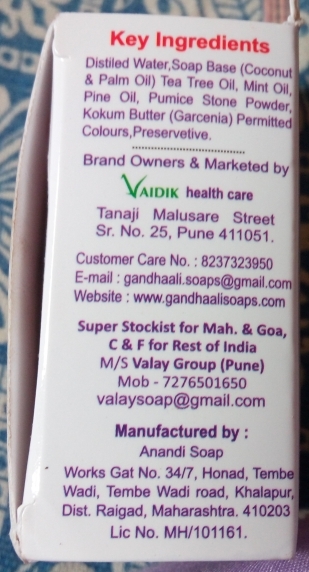 You may purchase it, if you cannot get the Gandhaali soap at your place. 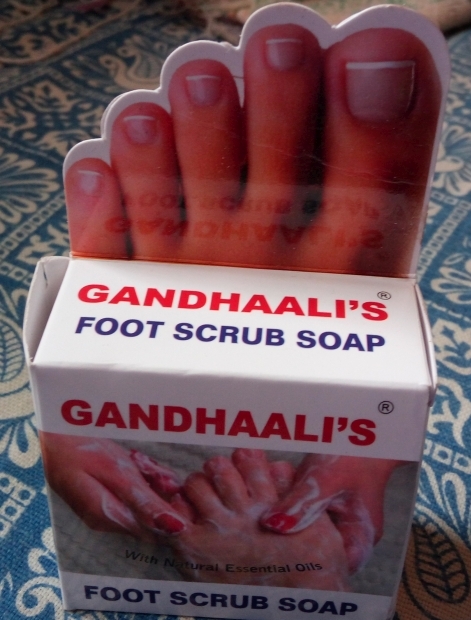 But if you happen to spot Gandhaali's Foot scrub soap at your local stores, don't think twice before buying it. Me gonna buy it.. Me gonna buy ittttt…. :D Thanks for the amazing review Aparna! Scrubbing off the dead cells from the feet is very essential, and not everyone has time to pay regular visit at the parlour for pedicures. For this problem, scrub soaps are useful solution.